Hit the beach- take your pick! 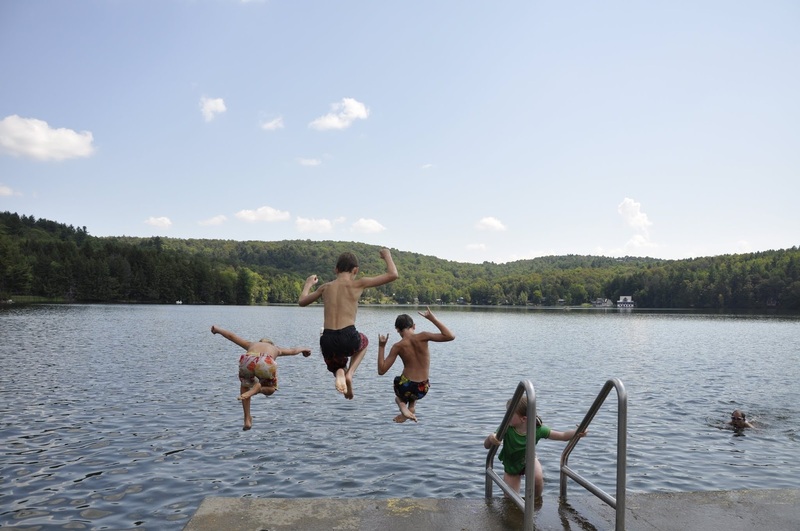 36 parks have easy access to a body of water, and swim-water test results are posted here. Rent a canoe, kayak or SUP. Prices are listed on our website. Check out fishing gear for free from one of 17 participating parks with the Reel Fun program, and try casting a line. Look for loons: common spots for sightings are Brighton State Park, Green River Reservoir, and Boulder Beach on Lake Groton. Get a bit of learnin’ with your vacation at a nature program. Guided hikes and paddles, or nature crafts. Get a listing of park programs and events happening during your visit. Climb a fire tower at the following parks: Allis, Elmore or Molly Stark. 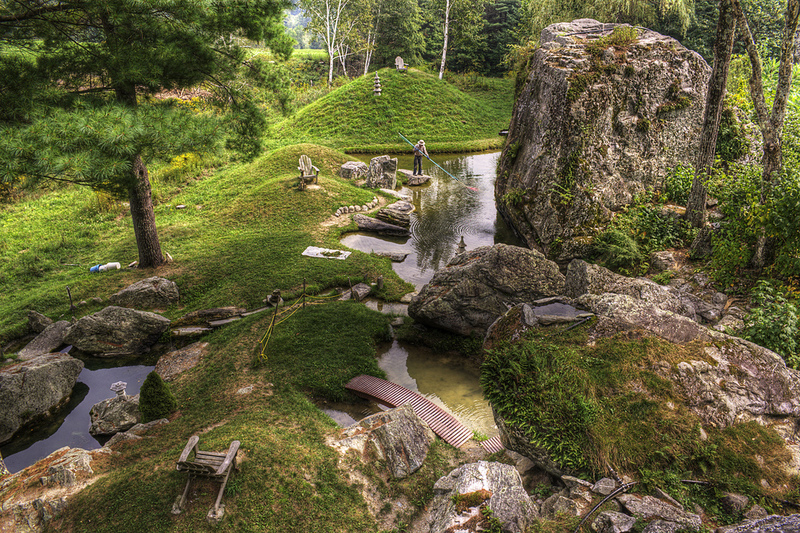 Participate in the Venture Vermont Outdoor Challenge and win free park entry all season long! Go mountain biking one of the new trails at Little River State Park, or take the history hike to learn about the area's past. Drive up the auto road on Mt. 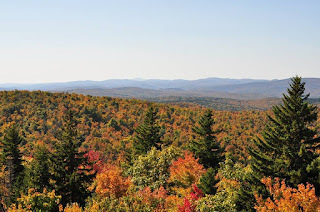 Ascutney, and watch hang-gliders take off from the launch point. Pan for gold at Camp Plymouth State Park! Did you know there was a small gold rush here in 1850? Ride the Island Runner ferry for a day trip to Burton Island on Lake Champlain, a unique island park with no cars. If you have a boat, the island also has a marina. Hike Camel’s Hump or Mt. Mansfield, the 2 most iconic mountains in VT, and both on state land. Go for a swim in the pool at Button Bay- this is the only state park with a pool with a water slide! Take a waterfall road trip all over VT- we wrote a blog entry devoted to waterfall chasing. Visit the Quechee Gorge- at 165 ft., the deepest in Vermont! Look for bald eagles by the Connecticut River at Wilgus State Park. 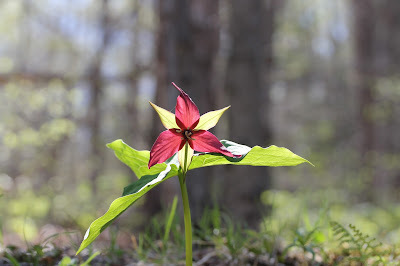 Walk the nature trail at Brighton State Park to learn about the ecology of the northern forest. Jump off the dock at Silver Lake in Barnard- another fun photo op and a rite of passage for many.